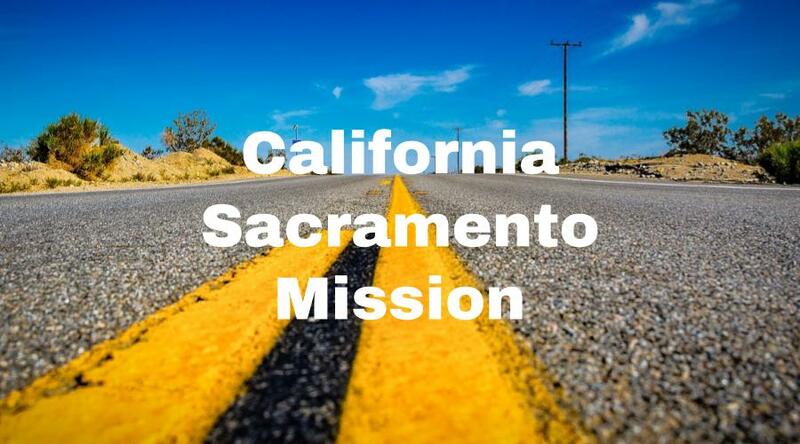 Here’s a recent address for the California Sacramento Mission. We try to keep this info up to date, but it’s a good idea to check the address with several sources, including your mission packet or the mission office. Here’s a list of LDS missionary blogs for the California Sacramento Mission. This list includes the missionary’s name, URL and when their blog was updated. Here are California Sacramento Mission Groups- for LDS missionary moms, returned missionaries, mission presidents and other alumni of the Sacramento Mission. Here are T-shirts for the California Sacramento Mission! 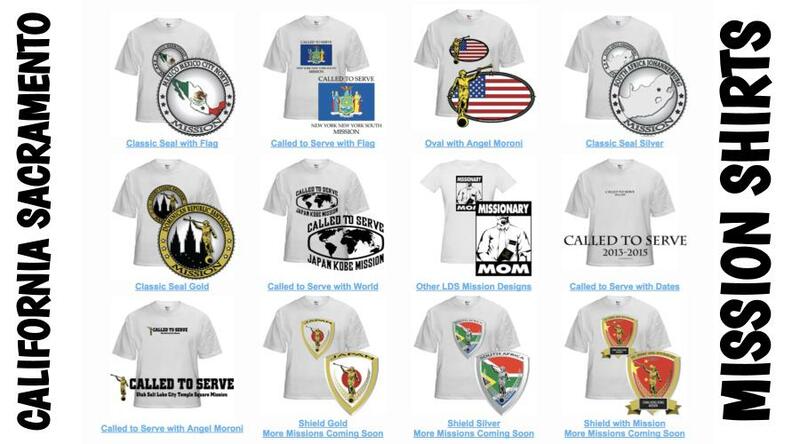 Shirt designs include California Sacramento Mission logo/emblem shirts and Called to Serve shirts. The shirts make great gifts for pre-missionaries, returned missionaries and missionaries currently serving. LDS Mission shirts come in all sizes: Small, Medium, Large, Extra Large, up to 4XL. The mission designs are printed on white shirts and are shipped to you. *Simply click on a shirt design to view the details and submit an order. The designs on mission t-shirts may also be printed on other LDS mission gifts, including: California Sacramento missionary aprons, Christmas stockings, ties, pillow cases, teddy bears and Christmas ornaments. Here’s a list of current and past Mission Presidents of the Sacramento LDS Mission. 1978-1981, William E. Zwick, Jr. Here are survey responses from California Sacramento RMs, to give you a snapshot into what it’s like to live in the mission. What are some interesting facts about the Sacramento Mission? My only advice on this one is don’t pack or bring too much stuff from home. I’m talking about the missionary from the Islands. Any advice/testimony for pre-missionaries going to Sacramento? The mission has Sacramento as the hub of activity and it fans out to the south and the east. It goes up into the mountains almost to Lake Tahoe. In the south it went through Stockton and the border was Tracy. There is a lot of different terrain. Downtown Sacramento is highrises and busy streets. Spreading out from that there are a lot of suburbs. Then there is also a lot of empty forest and valleys. I was almost attacked by a wolverine once. It’s so flat. You can see for miles if the air is clear. The entire mission is plagued by air pollution that comes from San Francisco and Oakland. Sacramento is a melting pot. Official mission languages are English, Spanish, Lao, Hmong, Cambodian, and Tagalog. There are also wards for Tongan, Samoan, and Marshallese. There are so many different languages in such a dense area. I actually speak a little Japanese, but I only met two Japanese speakers. There is a temple in Fulsom. It’s called the Sacramento temple though. It is very small, but beautiful. We got to go four times a year. We could go on the days that we had transfers. I love the temple. There were eleven stakes with thirteen missionary zones. There were two stakes that were split in half. There are a lot of members in Sacramento, especially in the Fulsom stake. It’s a really small stake, but it’s nearly as membership dense as the cities in Utah. I loved serving there because of how many youth are in the Church there. You get a lot of comradery there. I served from 2008 to 2010. It has split since then. It included Stockton and down to Tracy. It included Sacramento of course, but it didn’t go up to Roseville. A lot of those areas are in three or four different missions now. I never went to see Big Trees, but they are huge trees with giant trunks. Old Town Sacramento is really cool as well. Sacramento is really diverse. You step out into the streets and each person you speak with speaks a different language and is from a different country. I was called English-speaking, but I definitely felt like I was called to a foreign country at times. We had a number of Tongan wards, but we didn’t have any Tongan speaking missionaries. We had a good number of Spanish-speaking missionaries. We had missionaries that spoke Cambodian, Hmong, and Laotian as well. We eventually started a Marshallese speaking area as well at one point. I also found that there were a lot of people from other parts of the world that we didn’t have programs for from the Philippines, Vietnam, Pakistan, India, really all kinds of different areas. You can get to know so many different cultures. The church is pretty big in Sacramento. The wards in the populated areas are pretty large like you would see in Utah. There were eleven stakes in the mission at the time I had served and each had a zone. There is a lot of history there concerning the gold rush and that led some of the saints to head out there. We were always told the Sacramento mission was the best mission. I know at one point it was the highest baptizing mission in California, but that changes all the time. The amount of lessons you teach a week really depends on the area and language you are teaching in. For example, the Marshallese people were very willing to set appointments with you and those missionaries were able to teach a lot of lessons. In English areas, it depending more on the area you were in. If you are in wealthy areas, then you usually teach less lessons than the missionaries in the poorer areas. We did a lot of street contacting in the mission.